Welcome to Day #6 of Chocolate and Flowers Theme Week. 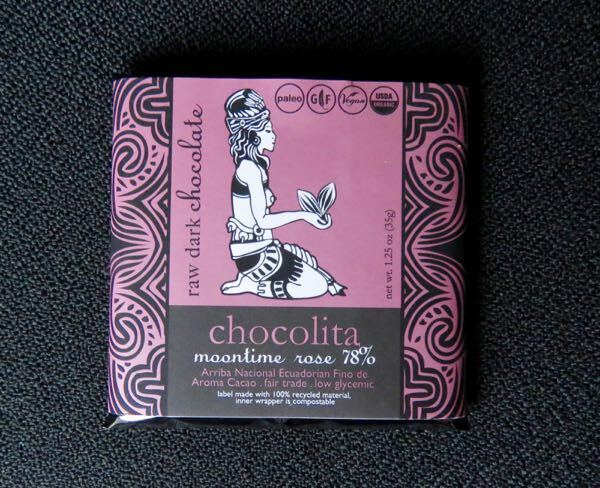 Today's Moontime Rose 78% raw dark chocolate was from Chocolita (Sedona, AZ). 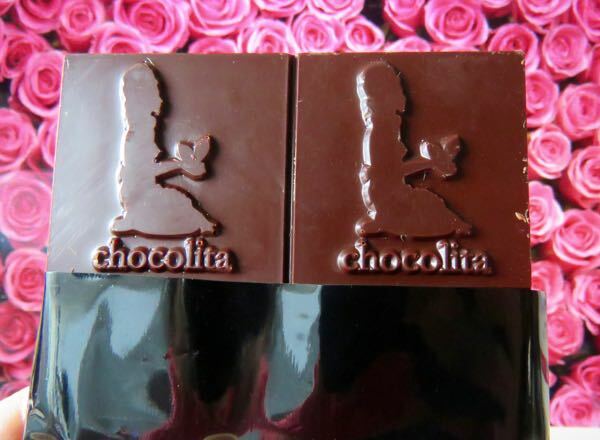 The company offers several dark bars that "utilize chocolate as a medium for delivery of herbs." 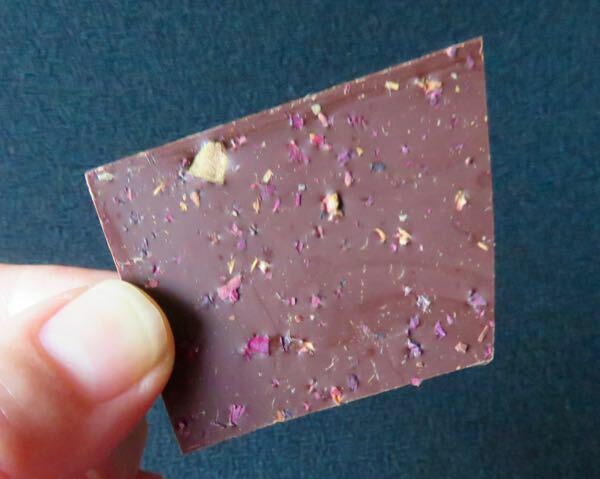 The blend of ground pink rose petals, chocolate and herbs* in this bar were designed to help balance hormones. Like other Chocolita bars sampled this week, today's raw, dark chocolate bar had a slightly bitter medicinal aroma and flavor. The rose flavor appeared as a nice aftertaste, but was largely overshadowed in the beginning by chocolate and herbs. 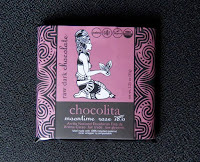 The base dark chocolate was made with organic, fair trade, stoneground, Arriba Nacional Ecuadorian Fino de Aroma Cacao. The gluten-free, vegan bar was sweetened with coconut sugar and also contained a hint of vanilla.